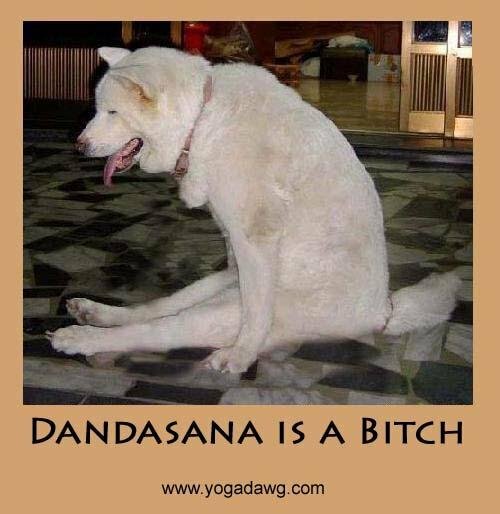 and this is why I am not a yoga superstar like Shiva Rea, Seanne Corn, et. al. That pup looks drugged. Have you ever seen such a lifeless puppy? And I hope Ms. Doga did not get that puppy from a pet store — pet stores buy puppies from puppy mills! Please feed shelter animals! Click the link in the sidebar — my three former street cats thank you! I also want to give a shout out to my new favorite yoga blog, Yoga Dork. Any yoga blogger who can hold Lululemon’s feet to the fire is OK in my book!